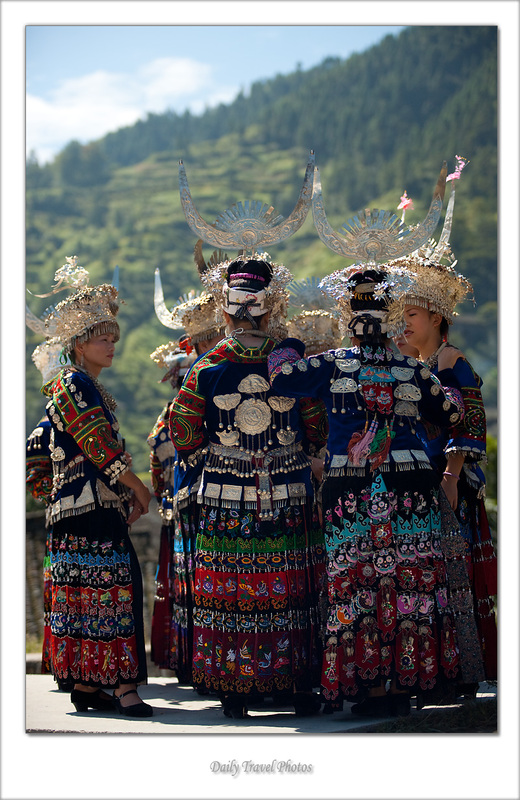 Miao ethnic minority women meet before a performance for a local festival. Beautiful photo! It's amazing the colors and outfit's details in contrast with the green background! Thanks, RC430! This is one of those occasions that no picture could have turned out bad, considering the surroundings and the ladies in native costume!